Detailed review of LoveBug Probiotics. See how this probiotic supplement compares against all the others! Overall, at 3 out of 5 stars, Lovebug Probiotics is a slightly above average daily probiotic. What I like about this probiotic is that it has a prebiotic in the formula – Fructooligosaccharides (FOS). A prebiotic is a great addition because it helps feed the probiotic and keep it alive in your system. I also really like that it uses a special delivery system called BIO-tract that helps the probiotics survive your stomach acid. This is very important so the live bacteria can get to where they need to go to make you feel better! I also like how allergy friendly Lovebug Probiotics is. It’s free of major allergens such as wheat, soy, nuts, lactose, and gluten. This probiotic is also on the more natural side, which I really like. It doesn’t have any nasty chemicals or added ingredients and as a total perk, the cotton used in the bottle is organic. Once you factor in the cost, shipping, and if you take multiple tablets per day, this probiotic can definitely get expensive. You also have to keep the bottle refrigerated if you want the probiotics to stay at their maximum potency. I believe this probiotic is intended for daily use, however, I feel like it goes overboard with the cells and strains used. It has 10 billion cells in 8 different strains. 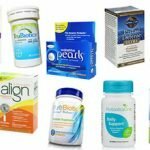 8 probiotic strains are definitely pushing the limits and too many strains can actually be bad because they can compete with each other. My biggest issue of all with this probiotic is the tablets. The directions say to take 1 – 2 tablets per day before food. The instructions are fine but the tablets themselves are some of the worst I’ve dealt with. They are super chalky and really hard to swallow. The tablets began dissolving in my mouth before I could get them down and they also scratched my throat on the way down. 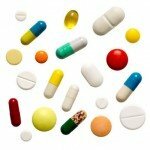 If you end up taking 2 tablets per day, definitely take them one by one. I tried taking 2 at a time and it was a painful disaster! 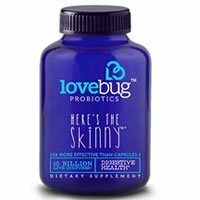 Overall, at 3 out of 5 stars, Lovebug Probiotics is a slightly above average probiotic because it’s allergy friendly, uses a special delivery system, and has a prebiotic but it’s expensive, hard to swallow, and goes overboard with the probiotic strains. Lovebug Probiotics contains 10 billion cells in 8 probiotic strains. This strain is definitely one of my favorites. It’s also a favorite among research and has been used in studies quite a bit. Another strain that I’m a fan of is Lactobacillus plantarum. This particular strain may help treat the symptoms that are caused by Crohn’s disease and Irritable Bowel Syndrome (IBS). 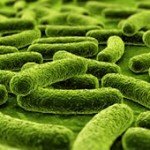 Lactobacillus plantarum may be able to help aid digestion and balance out the bacteria levels within the body. A great thing about Lovebug Probiotics is that it’s very allergy friendly. The only potential allergen is that it may contain trace amounts of milk protein. However, it seems great for any other areas of concern. The tablets contain NO: yeast, gluten, sugar, lactose, soy, wheat, nuts, or iron. As a perk, this probiotic is also free of any chemicals, preservatives, artificial colors, or flavors. This probiotic is also made in the USA and is non-GMO. The other ingredients include: microcrystalline cellulose, hydroxypropyl methylcellulose, pectin, ascorbic acid, sodium carbonate, anhydrous, stearic acid, guar gum, and turmeric. For 30 tablets, lasting 1 month, it costs $26.95. When you break it down, it works out to $0.89 a day to take these. If you tack on the $4.49 for shipping or if you choose to take 2 daily for extra support, it definitely gets really expensive. I don’t think this probiotic ends up being a good value for the price. I was really happy because I didn’t see any icky side effects while taking Lovebug Probiotics. 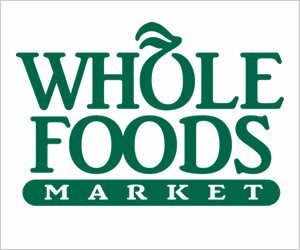 I was concerned that since it uses 10 billion cells in 8 different strains (8 is pushing it for a daily probiotic), that I might see some side effects. Maybe just be wary that 8 strains is rather much for a daily probiotic and it could cause some stomach bloating or discomfort. Sadly, I couldn’t find any sort of satisfaction or money back guarantee for Lovebug Probiotics. I would really like to see the company offer at least something for their customers. Even when I looked under the shipping and return policy, there was nothing listed! To buy LoveBug Probiotics, click here.